US FDA approved new drug Nerlynx that contains neratinib as active pharmaceutical ingredient as extended adjuvant treatment of early-stage, HER2-positive breast cancer. This is first kind of therapy approved by FDA as an adjuvant treatment along with primary treatment ( trastuzumab therapy) to reduce the risk of breast cancer recurrence. Breast cancer is one of the leading cause of death in females due to cancer. 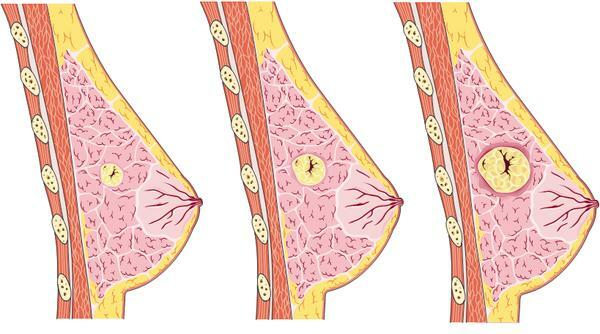 Initially, it appears as a lump inside the breast that growth with the passage of time and reaches to progressive metastatic stage. There are no obvious symptoms at initial stages that makes it hard to diagnose earlier. Later on patient may feel bone pain, swollen lymph nodes, fatigue, shortness of breath and mild fever in some cases also been reported. Exact underlying mechanism that causes breast cancer is sill not yet clear to somehow but some important risk factors that play important role in pathophysiology of breast cancer are obesity, alcohol consumption, smoking, HRT (hormone replacement therapy), early menopause and family history more specifically. People having cases of breast cancer in their family history especially inherited mutations in gene BRCA1 and BRCA2 have high risk of developing breast cancer in their later ages. So, regular screening for breast cancer in very beneficial for such candidates. Nerlynx/neratinib belongs to a therapeutic class termed as tyrosine kinase inhibitors. Pharmacologically, it binds with side chain of cysteine and inhibits epidermal growth factor receptor and human epidermal growth factor 2. Nerlynx/neratinib is used as adjuvant treatment along with primary treatment to decrease the cancer progression and its recurrence. US FDA indicated this drug as extended adjuvant treatment of early-stage, HER2-positive breast cancer. It is used to reduce the progression of diseases as well as cancer recurrence. This is first kind of therapy approved US FDA as extended adjuvant therapy for the treatment of breast cancer. This drug is formulated as tablet for oral administration with potency of 40mg. However, standard dosage frequency of this drug is 240mg orally with food daily for one year. In case of renal or hepatic impairment dose titration should be considered or in case of toxicity it's administration should be discontinued. Nerlynx is now available in market with average cost of 1700$ to 1800$ per pack (30's). This cost may variate with the passage of time so, make it confirm by visiting your nearby pharmacy before purchasing. Vosevi Cost, Side effects, Dosage, Uses for Hepatitis C. The FDA granted approval of Vosevi to Gilead Sciences Inc. US FDA approved new drug Vosevi that contains combination of drug as a fixed dose for the treatment of chronic hepatitis C without cirrhosis or with mild cirhosis.Vosevi contains 3 kind of drugs that include sofosbuvir in 400mg strength which is NS5B inhibitor, Velpatasvir in 100mg which is NS5A inhibitor and voxilaprevir in 100mg strength which is NS3/4A inhibitor. Vosevi is administered as once daily dose of combined therapy (fixed dose). mild fever, dark urine and yellowish tinged color skin. 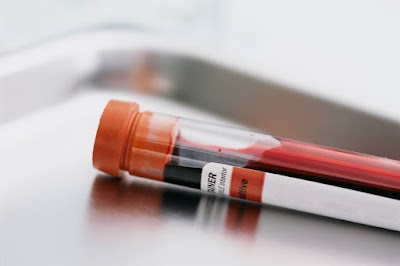 Hepatitis C virus spreads via blood to blood contact in the form of contaminated syringes, razors, needles, nail cutters, tooth brush, piercing equipment etc. Blood transfusion (contaminated blood) is another way of transferring HCV from one person to another. Vertical transmission is also possible in case of hepatitis C for example it can spread through an infected mother to her baby during birth. fatigue, nausea, muscle weakness, fever, blood in vomit and stool. At cirrhosis stage liver becomes inflamed and it causes internal hemorrhaging, portal hypertension and ascites. During clinical trails Vosevi showed promising results. Those patients who were taking Vosevi had no virus in their blood after 12 weeks of therapy. During clinical trails this drug decrease viral load effectively in variety of patients having genotype one to six. US FDA indicated this drug for the treatment of chronic hepatitis C without cirrhosis or with mild cirrhosis in adults patients having virus genotype 1-6. Patient taking rifampin must not be used this drug because it usage is contraindicated during rifampin therapy. Vosevi contains 3 kind of drugs that include sofosbuvir in 400mg strength which is NS5B inhibitor, Velpatasvir in 100mg which is NS5A inhibitor and voxilaprevir in 100mg strength which is NS3/4A inhibitor. Vosevi is administered as once daily dose of combined therapy (fixed dose). Vosevi is now available in market with average cost of 27,000$ to 28,500$ per pack (30's). This price may variate with the passage of time so, make it confirm by visiting your nearby pharmacy before purchasing. Tremfya/guselkumab Cost, Side effects, Dosage, Uses for Plaque Psoriasis. The FDA granted the approval of Tremfya to Janssen Biotech, Inc.
Genetic predisposition is major cause of psoriasis and symptoms may aggravate with environmental factors like winter season or dry weather condition. Similarly, skin infection, psychological stress, drug side effects and diet poor in essential nutrients play important role in the pathogenesis of psorisis. It is a common belief that psorisis is contagious disease but according scientific approach this is not contagious disease because it is connected with exaggerated response of immune system. on skin which become inflammed with the passage of time. In advance stage patient feels severe itching, swelling of affected areas, pain and inflammation of skin. Tremfya/guselkumab is inhibits inflammatory responses produced by immune system that play important in the pathology of plaque psoriasis. Tremfya/guselkumab blocks release of inflammatory mediators like interleukin, chemokines and cytokines. According to FDA recommendations this therapy should be reserved for those patients who are not responding to conventional treatment and they are candidates for photo-therapy. According to health authorities following side effects were observed during clinical trials. US FDA Tremfya for the treatment of adult patients with moderate-to-severe plaque psoriasis who are candidates for systemic therapy or phototherapy. At the moment, there not enough data over its usage in pregnancy. However, human antibodies are known to cross placental barrier. 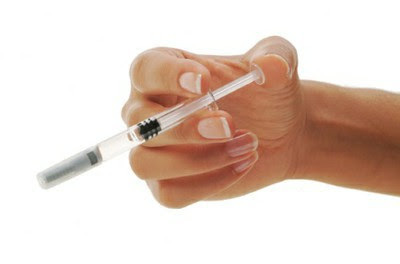 Tremfya/guselkumab is formulated as pre-filled syringe of 100mg/ml. However, it's dosage frequency is 100mg administered subcutaneously at start of therapy then second dose will be administered after 4 weeks. Now, after second dose all subsequent doses will be administered after every 8 weeks interval. Tremfya is now available in market with average cost of 49,500$ to 52,000$ per 5 prefilled syringes.This price may variate with the passage of time so, make it confirm by visiting your nearby pharmacy before purchasing. Read about Endari Cost, Side effects, Dosage, Uses for sickle cell disease. The FDA granted the approval of Endari to Emmaus Medical Inc. 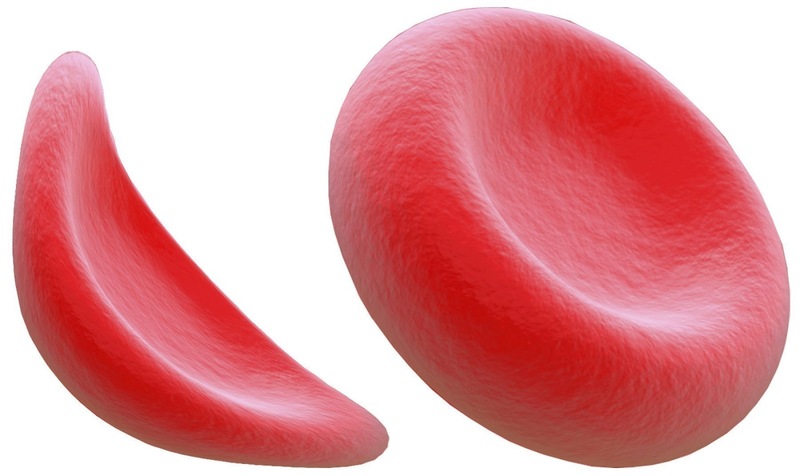 US FDA approved a new drug Endari that contains L-glutamine for oral administration for the treatment of sickle cell disease in patients having age 5 years or more. Sickle cell disease is a severe kind of hematological disorder. Endari is first kind of drug approved by US FDA to reduce complications and severity of symptoms associated with sickle cell disease. Sickle cell disease is characterized as a group of hematological disorders that occur due to genetic mutations. Most commonly occurring form of sickle cell disease is sickle-cell anemia (SCA) in which patient have abnormal shaped RBC's that are either immature or non-function. Basic reason behind sickle cell anemia is mutation of hemoglobin that carries oxygen and supplies it to tissues of whole body. Symptoms associated with sickle cell disease are anemia, swelling of extremities, increase susceptibility to infection, hypoxia, acute chest syndrome, haemolytic crisis and moderate to severe pain. Patient having sickle cell disease must be vaccinated properly to minimize chances of common infection. Moreover, patient should be nourished well and remain hydrated. Supplements that contain high amount folic acid are also beneficial because folic is required for production of RBC's. According to data provided by health authorities it has been observed that patients receiving Endari have less complications as compared to patients who were taking placebo. Similarly, patients receiving Endari have experienced fewer hospital visits for pain treatment. During clinical trial following side effects were observed induced by Endari. This is first drug approved by US FDA to reduce complications associated with sickle cell disease like body pain, chest pain, hypoxia etc. US FDA approved this drug for patient having age 5 years or more. Endari is administered via oral route in the form of powder. Enadri is formulated as powder for oral administration with potency of 5g L-glutamine/packet. However, it's dosage frequency for those who have body weight less than 30Kg is 5g L-glutamine powder orally two times a day. For those who have 30-65Kg weight dose will be 10g L-glutamine powder orally twice a day. Similarly, for those who have weight 65Kg or above dose will be 10g L-glutamine powder orally twice a day. Enadri is now available at retail out with average cost of 580$ - 620$ per pack that contains 30 packets (sachets) of endari each with 5g of L-glutamine. This cost may variate with the passage of time so, make it confirm by visiting your nearby pharmacy before purchasing.